The Progressive Gazette: Curiosity Killed the Craft - SATIRE! Curiosity Killed the Craft - SATIRE! "Dangerous Metallic Fragments Found in Breakfast Cereals. FDA Exults." 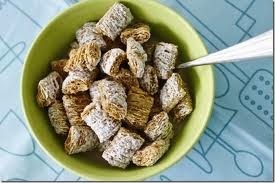 A joint panel of the FDA and Craft Cereals convened late Saturday (after midnight, in fact), holding a press conference on C-SPAN, ostensibly to confront the fact that high levels of heavy metals were found in a variety of breakfast cereals. Fred Fungus, acting chief of the FDA (short for "fluoride doping accomplices"), intoned with verve, "Dear America, we told you we were providing you with all the essential vitamins and minerals, and lots of Iron. We just didn't tell you how much." The incredible amount of toxic metal was initially discovered by little Bobby Porter Jr. at the science fair, as he was testing his experiment with magnets, while simultaneously eating a bowl of cereal. Inexplicably, his box of "Wheat-Ease" flakes flew out of his hands and became, as it were, hermetically linked to the "Magnetron" (it would take too long to explain). Always insouciant, Little bobby improvised, and won first place. The cagey folks at Craft Cereals immediately awarded him a job and a non-disclosure form, with heavy penalties. But the news had already gotten out.